Lyft, launched in 2012 in San Francisco, CA, currently provide services to 195 cities across the US. From San Francisco to NYC, it covers a lot of major cities, one of which is Baltimore. One of the earlier cities to receive this amazing rideshare service, Baltimore has become a very important city for Lyft. Launched in late 2013, Lyft has a come a long way when it comes to providing services in Baltimore area. “The friend with a car” is currently one of the most popular ridesharing app in the Baltimore area. 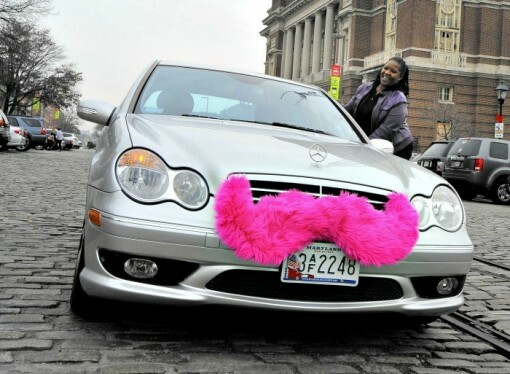 Lyft was launched in Baltimore in October 2013, just a year after its launch in CA. A very innovative idea back then, its ride sharing experience was completely different from your traditional taxi services. It is less like hiring a taxi and more like carpooling with someone who’s going towards the same destination as you. Lyft matches one with a nearby driver in the area through a very easy to use app which has changed how people look at their transport. Lyft covers a large area of Baltimore, from Canton to Federal Hill to Hampden. Lyft provides two types of services, Lyft and Lyft Plus, in Baltimore. While Lyft is for a more personal experience, accommodating one to three people, Lyft Plus provides you with a six-seater for more people. Instead of connecting people with chauffer services (like Uber), Lyft connects you with drivers who are more or less like you with their own cars. These Lyft drivers go through a rigorous screening process that includes criminal background and DMV record checks, should have a vehicle that passes a safety inspection and is no older than a year 2000 model. Drivers should be at least 23 years old. Due to their unique peer-to-peer ride sharing model, drivers usually earn more compared to other ridesharing services. This proves to be a good way for these drivers to make more than usual money. As in other cities, Baltimore has embraced Lyft. According to one of reviewers on Yelp, “I really like lyft! Every experience they I have had, has been pleasant! From the waters some drivers offer to the friendly conversation. [sic]” Another reviewer praised its driver quality control and insurance cover that it provides, stating, “This is a concern of mine since hopping into a strangers car can lead to bad times. …Well, that doesn’t happen with lyft. When bad things happen, as they do from time to time, lyft gives each driver a $1 Million insurance policy to make sure things don’t go from bad to worse.” He also praised Lyft’s car quality control. Lyft’s current rates in Baltimore are as good as they get. The option of paying through phone also makes it a very easy service for all involved. At this time, following are the rates of Lyft in Baltimore. Lyft has become the rideshare of Baltimore with its affordable rates and friendly drivers. Save on your first Lyft ride in Baltimore with this $50 credit. Simply add the STUART12 promo code into the payments screen. So if your final fare (not including tip) is no more than $20, you’ll get a free Lyft ride to get you introduced to the ride-sharing service.